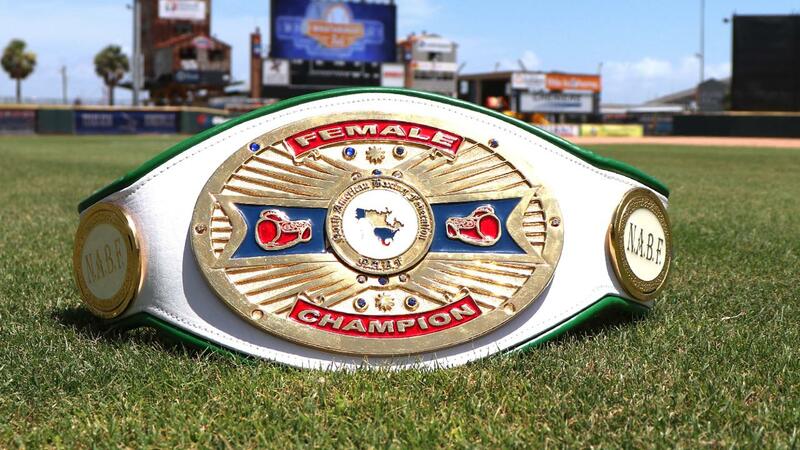 CORPUS CHRISTI - Justin "Jawbreaker" Jones and Selina "Aztec Queen" Barrios headline the Heavyweight Boxing Showdown, a seven-bout boxing card set for Saturday, September 22 at Whataburger Field. The event is presented by CCC Entertainment, Corpus Christi Hooks, Houston Astros, and KeepPunching Entertainment. Jones is set to put his undefeated record of 21 wins, 0 losses, and 2 draws on the line against 16-0 Cuban Robert Alfonso. Jones, known as "Triple J," hails from Houston and now makes his home in Corpus Christi. He is trained by former world title challenger Termite Watkins, along with former world WBC heavyweight champion Oliver McCall. Alfonso is trained by Jay Deas, trainer of WBC world heavyweight champion Deontay Wilder. "Triple J" and Alfonso will clash in a 10-round match, billed as the Texas Heavyweight Championship Fight. Barrios is the NABF Lightweight champion and boasts a 4-0 record with two knockouts. In her last Corpus Christi bout, the San Antonio fighter knocked out undefeated Russian Aida "Lady Sparta" Satybaldinova at the American Bank Center. Trained by her farher, Martin Barrios, and Rick Nunez, the "Aztec Queen" will match up against a to-be-announced opponent in a 10-round fight. Both Barrios and Jones are managed by Dr. Charles Campbell and his son, Colin Campbell. The fighters are promoted by Kerry Daigle, president of KeepPunching Entertainment. Cruiserweight Ernest Reyna of Corpus Christi is among the boxers on the undercard of this September 22 show. Advance discounted tickets, priced between $8-$20, are on sale now. VIP ringside tables are also available. Click Here or call 361-561-HOOK (4665) to purchase.